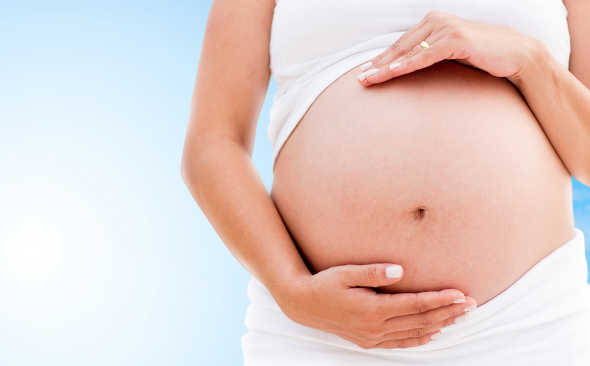 Hypnobirthing provides an opportunity to address the questions expectant mothers often have. For example, Does birth have to be painful? It is something we often learn early on in life and as we get older, new mothers are often keen to share their horror stories of long and painful deliveries and numerous stitches. We rarely notice the quieter ones who actually didn’t find the experience quite so catastrophic, and had much better experiences of childbirth. The hypnobirthing programme helps you to acknowledge and get beyond any fears to a place of relaxed confidence in your body’s natural ability to birth your baby. Labour is an amazing journey, a journey that should leave you feeling euphoric and empowered. We imagine this journey going naturally and efficiently during the hypnobirthing process so that you are relaxed and confident about the event. However of course labour is hard work, you are using a muscle that is rarely used, and to its optimum capacity, and this takes a lot of energy. It has been said that the physical work and energy used in childbirth is about the same as running for the same amount of time. In the Hypnobirthing sessions you will learn exercises to enable you to try out different positions during childbirth for maximum comfort, feeling strong and excited about this new experience. The information about natural childbirth that you will receive on the hypnobirthing programme will build your confidence so that you can feel excited and positive about the birth of your baby. Would you like to look forward to giving birth feeling relaxed and empowered to make the experience as wonderful as possible? With hypnobirthing classes parents learn relaxation and visualization techniques to help them to feel more in touch with the natural process and more confident in their ability to give birth with as little intervention as is needed. Everyone is different and we don’t know exactly how each birth will happen, but most would rather approach the journey with knowledge, skills and a positive expectation. The more you imaginatively rehearse the future going well, the better the body can set up the skills templates and confident expectations that allow you to feel at ease and in flow when your body begins the birthing process. The hypnobirthing classes give you the information and opportunity to ask questions, dispel your fears, connect with your baby and look forward to the future with confidence. Using Hypnosis to help with labour has been shown to reduce the length of the first stage of labour by hours and the second stage from an average of 50 minutes to 37 minutes. 50% of parents using the Fertility2Birth HypnoBirth program have experienced an entire labour lasting less than 5 hours! This is an amazing programme consisting of three two hour sessions in which you will learn many tools to help you have a relaxed, controlled birth. You can have the classes in the comfort of your own home. If you know others that are also interested then we can set up a group course. What will Hypnobirthing Class cost? £200 for the 3 sessions plus 2 relaxation CDs and information sheets. If there are several couples who would like to follow the programme together, we can find an appropriate venue and the cost will be around £150 per couple. A young couple having their first child decided to have the hypnobirthing classes in their home. The sessions gave them an opportunity to talk through their hopes for the birth and learn the different postures for giving birth as well as a soothing massage technique. The birth took place in the birthing pool and Mum found the relaxation cd really helpful during the labour, keeping her calm and positive and not needing any medical intervention. Dad was excellent at helping her with the breathing and using the massage technique. I found the relaxation CDs really helpful in teaching me to slow down and connect with my baby. I learnt to trust my body and the sensations arising in my body during the Hypnobirthing sessions which really helped during the birth. I’m really glad I did the course!